Hello from Maine / CT (QUESTION / OLD FORGE INFO) - The Iron Forge Fire Blackmithing Forum. I am joining as a prospective knife and general Blacksmith Hobbyist. 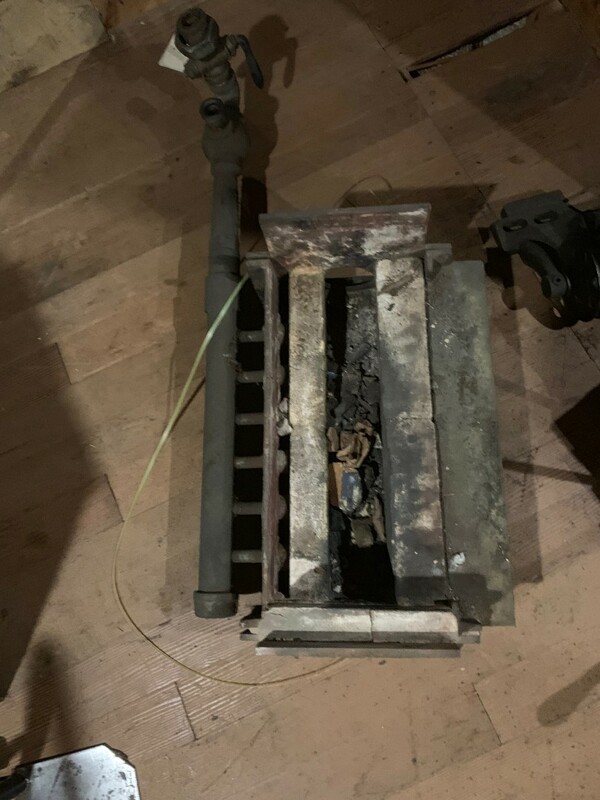 I have found a little Forge in the Attic of my 1850's Old Ivory Factory where my Soldering Tool company has been housed for about ninety years. I was really excited to find the forge. I was forced out of business by a Thirty Year Employee. Mystifying what people can be like. 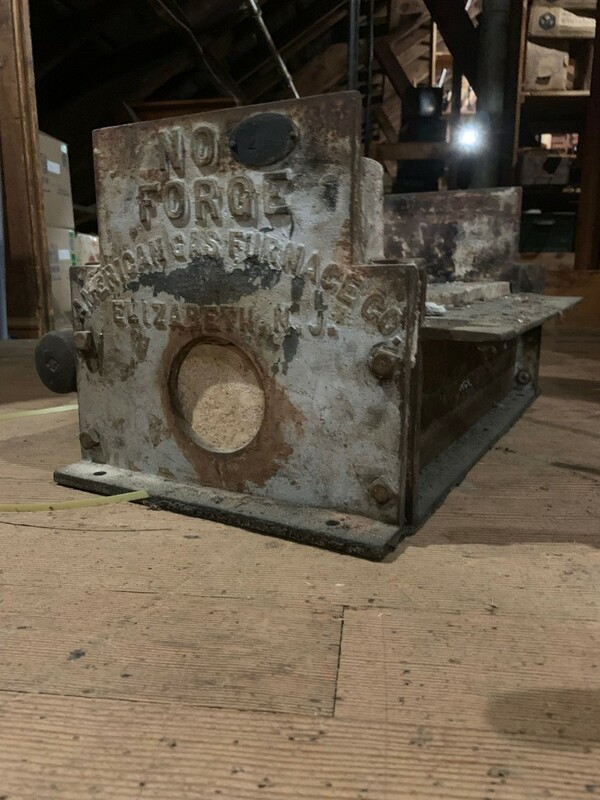 ANYWAY, the little Forge says it is from The American Gas Furnace, Co. Elizabeth, NJ and it is a Number 21. I can find zero information searching and searching. Also in the attic, I have found a very large crate with old hand forged Hinges, nuts and bolts and other "stuff". 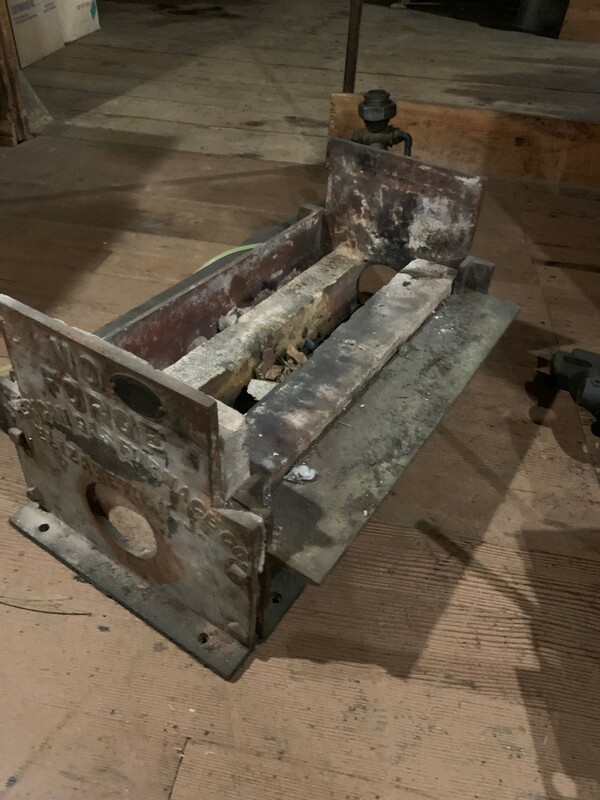 Can anyone offer any ideas on this old forge? I'd love to get it working again. It appears that just some fire Brick needs replacement as well as I'm sure, gaskets. Hope to hear from someone or many of you soon. I suspect your forge is really a furnace which is designed to work at lower temps and may not be able to reach forging temps. It might work for heat treating though. It might help to have some pics. Bladesmithing is an addictive hobby. That's crummy news I suppose. It's pretty tired anyway. Yeah, it looks like it might be a heat treating furnace. It's neat looking anyway, if one could get it back going it might be useful. A gas forge isn't that expensive and is fairly easy to build, probably cheaper than getting the old furnace going again. My little single burner is all I need to forge just about any blade length and heat treat over 15". If you would like to build a forge check out the attachments on the Forge Supplies page of http://www.WayneCoeArtistBlacksmith.com. If yo don't want to build the Ribbon Burner do a Google search for Frosty's T Burner Illustrated Instructions. That looks similar to a burner used to heat soldering irons for lead and tin work it would take alot to make a forge from it and it would destroy a cool peice of history as others have stated building a small forge is no more than some pipe a high pressure regulator and a few bricks do your research and be willing to experiment it takes more time to tune one than to build it any questions ask many of us here I'm sure have learned from our mistakes building them I know I have ....... welcome ! My company I lost is a 90 year old Soldering Tool Manufacturer. ESICO -TRITON, “Electric Soldering Iron Company” and a resistance soldering tool, Triton. We had ones like it in high school metal shop also had big irons that had leather handles we also had a gas forge and foundry we all made cast aluminum license plates one year probably don't let kids use scissors these days !